The DTCC Global Trade Repository (GTR) is the industry's provider of choice for global OTC derivatives reporting. The GTR holds detailed data on OTC derivatives transactions globally and is an essential tool for managing systemic risk, providing regulators with unprecedented transparency into this trillion dollar market. 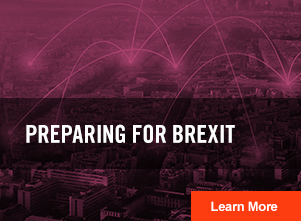 The GTR spans three continents, enabling users to meet their regulatory reporting obligations wherever they are located, in an open, cost effective and efficient manner via a single platform. DTCC’s Global Trade Repository service (GTR) Americas, delivered through DTCC Data Repository (U.S.) LLC, is a Commodity Futures Trading Commission (CFTC) registered Swap Data Repository (“SDR”). Through the DTCC’s (GTR) any customers with Canadian reporting requirements can achieve efficient and cost-effective compliance. DTCC Global Trade Repository for Derivatives (“GTR”) is dedicated to bringing greater transparency, and resultant risk mitigation, along with cost efficiency to the global derivatives market. DTCC's GTR will play a key support role in the implementation of regulatory reporting for Hong Kong's OTC derivatives market. DTCC is dedicated to bringing greater transparency, and resultant risk mitigation, along with cost efficiency to the global derivatives market DTCC is operating a licensed trade repository in Singapore. In Australia, DTCC operates a trade repository, prescribed as a foreign trade repository by the Australian Treasury, via its subsidiary, DTCC Data Repository (Singapore) PTE Ltd (DDRS). In Switzerland, the Financial Markets Infrastructure Act (FMIA), also known as “FinfraG”, came into force in early 2016. 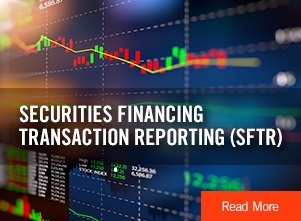 Leveraging the GTR infrastructure, our one-stop solution for the Securities Financing Transactions Regulation (SFTR) will help clients meet their reporting obligations.